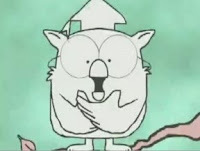 There Is No Off-Season: How many licks does it take? Ah, yes, another great memory: the Charms commercial. That snivelly owl was one of my favorites as a kid. Thanks for bringing it to mind.